So you’ve just purchased your first leaf blower and you’re excited to use it! But once you put it all together, you may not understand exactly how to use it and what all it can be used for. Getting the most out of your leaf blower will make it that much more valuable to you. Leaf blowers have a multitude of uses, so be sure and use yours to its full potential. When using your new leaf blower for the first time, you may want to skim through the user manual to make sure you don’t skip any important steps. Leaf blowers are powerful tools that should be taken seriously. Make sure that no other people or pets are in the same direction that you are using the blower. The high wind speed can pick up a rock or impediment and seriously hurt someone if they are in its path. A safe distance is 50 feet. Turn of your blower if someone approaches you. Also make sure that you are clear of any vehicles so you don’t accidentally chip the paint or a window. As with any power tools, you need to take precautions when using leaf blowers. Dress appropriately and wear hearing and eye protection, if necessary. You may also consider wearing a mask, since the blower will likely blow dust in the air. Your yard full of leaves is waiting on you, but luckily you have your blower to help you out. Start on one end of the yard and blow the leaves to a central area. Depending on the size and shape of your yard, you may get the best results if you walk around the perimeter of your yard and slowly move toward the center. One thing you need to realize is that the leaf blower won’t pick up every single leaf. Leaves get nestled down in the grass sometimes and it’s hard for the wind from the blower to get underneath them. Don’t waste your time trying to pick up every leaf. You will likely have to clean up with a rake anyway. 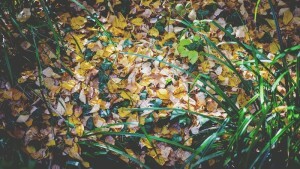 Focus on the big picture and getting the majority of the leaves in a pile. Also, make sure the leaves are dry. You will become frustrated quickly if the leaves are even the slightest bit wet, because they won’t move as easily. The best way to learn how to use your leaf blower efficiently is to just practice. Even if you watch videos on how to use it, it still takes hands-on experience to really get good at it. 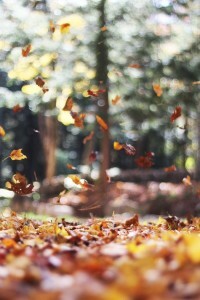 Dust – your leaf blower will force out a lot of wind through the nozzle. When you start out, put the nozzle close to the ground and slowly raise it up. Once you start to see some dust, then you know how high you need to have the nozzle to minimize it. Try not to use your blower on excessively dusty areas, but if you have to, then spray it down with a little bit of water to keep the dust down, but still allow you to move the leaves. Noise – be aware of your surroundings and whether noise regulations are in effect, which we will discuss more in-depth later. 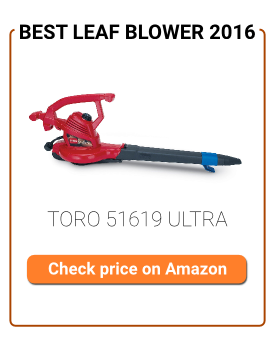 Use the lowest throttle possible when operating your leaf blower to reduce noise. Courtesy – accept the fact that your blower is noisy and dusty. If you see your neighbors outside and they are within a reasonable distance, be courteous and postpone your leaf blowing for a little while. They will certainly appreciate it! Gas – be sure and store the gas/oil mixture in a dry and safe place. It can get messy when you are refueling, so be sure to wipe up any spills once you’re done working. Gas-powered blowers are going to be a lot noisier than electric. They are also going to be more powerful and put off more fumes than electric. These are all things you need to take into consideration when using your blower. Only use your gas blower when there is no one else around outside, because it is noisy, causes pollution and could cause a lot more dust. You need to be careful with electric blowers for different reasons. Make sure your cords aren’t frayed and that you are working on a dry surface. Extension cords can get tangled if you are working in a large area, so be sure you are aware of the cord. Some cities and states have strict regulations when it comes to operating leaf blowers. These laws range from the time of day or year that you can use your leaf blower to banning leaf blowers all together. Now that leaf blowers are trending toward being manufactured a lot quieter, we aren’t seeing a huge issue like in the past. However, you still need to know what regulations are in your area so you know what type of leaf blower you can or can’t use, and when you can or can’t use it.